NEC's Business Mobility solutions are designed to meet the everyday needs of office workers, teleworkers and mobile workers. Besides person-to-person voice contact, the applications are predominantly web-based or voice-controlled and provide access to communications and data, including voicemail, email, directories and customer information. Our Business Mobility solutions aimed at office workers begins with DECT at the workplace. This offers the mobility to move around the building or across multiple sites, while enjoying uninterrupted access to telephony, along with other features, such as voicemail and text messages. Open and safe, Business Mobility is open by fully adhering to the DECT standard, including the GAP/CAP/E2 Open-Air interface. The international DECT standard ensures secure communications by means of very reliable encryption technology. All NEC DECT and IP DECT equipment (access points, handsets) make use of this encryption and can therefore be applied securely. 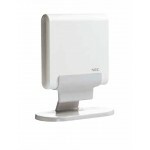 When NEC DECT Access Points and handsets are used the communication is encrypted and cannot be listened in to. Unlike GSM, with DECT there are no costs associated with internal calls. There is a wide choice of handsets, including industrial models for heavy duty environments. Crystal clear speech, seamless handover and a secure air interface are some of DECT's characteristics, while additional services, such as location detection and short messaging are also available. Business Mobility is fully integrated into the NEC PBX platforms, which makes Business Mobility applications scalable. Configuration may start small and grow big (e.g. more than 10000 cordless users per iS3000 node). Feature rich. Wireless and wired phones are identical to the system. They can be mixed and matched in Chief/Secretary groups, Automatic Call Distribution (ACD) systems and Call Centres. High range handsets can function in all locations of the network. Computer Telephony Integration (CTI) functionality is fully available for wireless phones as it is for wired phones. NEC's Business Mobility IP DECT delivers on-site wireless telephony that uniquely combines the benefits of IP technology with the superior quality and facilities of the well established DECT technology. To protect investments and stay competitive, Business Mobility IP DECT is based on the open SIP standard. This basis offers compatibility to many platforms available in the market. NEC's IP DECT portfolio takes advantage of the new CAT-iq standard with Internet services and HD-voice quality as important enhancements to DECT and supports applications such as Unified Communications, messaging, alarming, task management and localization. Business Mobility IP DECT provides wireless telephony in a multi-site business or campus environment. Organizations with a main office and different branch offices for instance simply install IP DECT Access Points at remote locations, which form one cluster with all other Access Points via the company's network infrastructure. NEC's Business Mobility IP DECT provides on-site wireless telephony in a unique solution that combines the benefi ts of IP technology with the superior quality and facilities of DECT. The IP DECT AP400 Access Points connect directly to the IP network and can be used both on NEC platforms as well as on different brand PBX platforms with a SIP interface. AP400 series is also designed to offer new CAT-iq based features such as HD-voice. Many organizations need to locate people and assets for staff safety and alarming scenario's. NEC's IP DECT offers multi-Access Point based location technology to accurately locate IP DECT handsets. This can be combined with applications such as Ekahau RTLS to accurately locate and track those handsets and to combine with other asset tracking devices. NECs Business Mobility IP DECT provides on-site wireless telephony in a unique solution that combines the benefits of IP technology with the superior quality and facilities of DECT. The IP DECT AP400 Access Points connect directly to the IP network and can be used both on NEC platforms as well as on different brand PBX platforms with a SIP interface. AP400 series is also designed to offer new CAT-iq based features such as HD-voice. The IP DECT handset G266 is a standard mobile handset offering a range of professional capabilities, such as central directory, loudspeaker and personal alarming. The IP DECT handset G566 is a sophisticated handset that provides a range of mobile unified communications and messaging capabilities to fulfi ll task management and staff/patient safety scenario s in various businesses, hospitality and healthcare The handsets satisfy advanced requirements for mobile voice and message communication in a business environment, providing mobility, fl exibility and accessibility, without compromising on comfort and ease of use. The IP DECT handset G566 is a sophisticated handset that provides a range of mobile unified communications and messaging capabilities to fulfill task management and staff/patient safety scenario s in various businesses, hospitality and healthcare The handsets satisfy advanced requirements for mobile voice and message communication in a business environment, providing mobility, flexibility and accessibility, without compromising on comfort and ease of use. This Bundle includes I766 handset (+clip, battery, pull cord), charger, multiregion AC Adapter, uSD card. Requires Cat5 or higher cabling.